My grandma on my dad’s side had breast cancer (she’s fine now). Is there any chance of me getting breast cancer? Posted 18 September 2013 under Ask Us. Breast cancer among teens is very low, but having a positive family history on either your mother or father’s side puts you and other females in your family at a higher risk. Research has also shown that other factors such as exposure to radiation, smoking, and drinking alcohol are also risk factors. Having a family history of breast cancer doesn’t mean that you will get breast cancer – however, you should definitely tell your health care providers. Some of the genetic breast cancers can be detected by special blood tests, such as BRCA1 and BRCA2. You or your dad can ask your grandmother if she had a test to check for BRCA1 and BRCA2. If not, she may want to talk with her health care provider about having it done. If she has a positive test, when you become an adult, you may wish to talk with your health care provider about whether you should have the genetic blood test done. 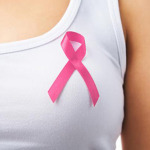 Is it true that having lumps on the breast is a sign of breast cancer?